Our laboratory applies multidisciplinary approaches to study novel modes of signaling at GPCRs. G protein-coupled receptors (GPCRs) represent the largest family of receptor proteins encoded by the human genome and the biggest class of current drug targets. These proteins can concomitantly interact with diverse endogenous and exogenous ligands and adopt multiple conformational states that couple to diverse signalling pathways. My laboratory focuses on two key paradigms of drug action that arise as a consequence of these properties of GPCRs, specifically, allosteric modulation and biased agonism. These paradigms are revolutionizing modern drug discovery, and we investigate them using a multidisciplinary approach that encompasses structural and computational biology, molecular and mathematical modelling, medicinal chemistry, biochemistry and cellular signal transduction, native tissue bioassays and preclinical animal models. We are particularly interested in understanding how the phenomena of allosteric modulation and biased agonism can be applied to GPCRs implicated in neuropsychiatric disorders (including schizophrenia, anxiety and depression), and metabolic/endocrinological disorders. A key focus of our laboratory is on the interpretation of drug actions in terms of underlying hypothetical mechanisms. This involves the combination of appropriately designed bioassays, either at the cellular or whole tissue level, with mathematical models that can shed light on the molecular properties of drugs in a manner that allows novel predictions to be made about the compounds or target under investigation. An application of quantitative models of drug action is particularly relevant to understanding allosteric modulation and biased agonism at GPCRs, and we are constantly aiming to develop new approaches that can lead to more informative experimental design and therapeutic agents with improved biological properties. GPCRs possess multiple topographically distinct binding sites and isomerize between multiple states, giving rise to distinct pharmacological patterns of allosterism and biased agonism. These can be quantified by determination of key parameters (left) and used to construct "Webs of Bias", an example of which is shown on the right for signalling of three different ligands at the adenosine A1 receptor. This allows for quantitative compound "fingerprinting". We are very interested in understanding the molecular, and even atomistic, basis of how drugs can interact with GPCRs to modulate their biology, and how this information can be exploited to facilitate structure-based drug design. To address this, we utilize mutagenesis, biophysical techniques, x-ray crystallography and cutting edge computational modeling and docking methods to understand receptor dynamics and drug-receptor interactions, especially in the context of allosteric modulators and biased agonists. Understanding the structural basis of GPCR allosteric modulation. Left: high resolution crystal structure of the M2 muscarinic acetylcholine receptor bound to an activating nanobody (Nb9-8, green), orthosteric agonist (iperoxo, yellow) and positive allosteric modulator (LY2119620, purple). Right: movie showing molecular dynamics simulation of a negative allosteric modulator drug binding to the M2 muscarinic acetylcholine receptor. We have numerous projects that sit at the interface of chemistry and biology, using small-molecules to interrogate GPCRs and their associated signalling pathways. These studies focus on the generation of novel chemical probes as tools to illuminate biological processes, as well as the discovery of potential therapeutic leads that can progressed in drug discovery programs. Our main focus in this regard is in the optimization of structure-activity relationships underlying allosteric modulators and biased agonist activity. To achieve this, we combine analytical pharmacology with medicinal chemistry and multi-tiered signal transduction assays that encompass a broad range of cellular activities, including assays of intracellular second messengers, protein-protein interactions, trafficking, reporter genes, whole cell metabolism and morphological changes. These are performed in both recombinant and native cells, with a view to predicting optimal behaviours for perturbing whole organ systems in a therapeutic setting. Left: Delineating the structure-activity relationships of allosteric modulators of the M1 muscarinic acetylcholine receptor. Right: A rationally designed 'bitopic' ligand of the adenosine A1 receptor, comprised of the orthosteric agonist, adenosine, linked to a positive allosteric modulator. This hybrid molecule is a biased agonist. We strive to translate our knowledge of GPCR structure, function and signalling into a deep understanding of the mechanisms of physiological regulation and disease. A main thrust of our laboratory in this regard is to understand how allosteric modulators and biased agonists can be used to treat neuropsychiatric, metabolic and other diseases. We utilize a suite of animal models of behaviour or metabolic dysfunction, including studies in transgenic mice where key proteins have been removed or modified to understand the physiological and pathophysiological relevance of allosteric modulation and biased agonism. We are particularly interested in the potential for untapped endogenous allosteric and biased ligands in both health and disease. Translational potential of allosteric modulation. 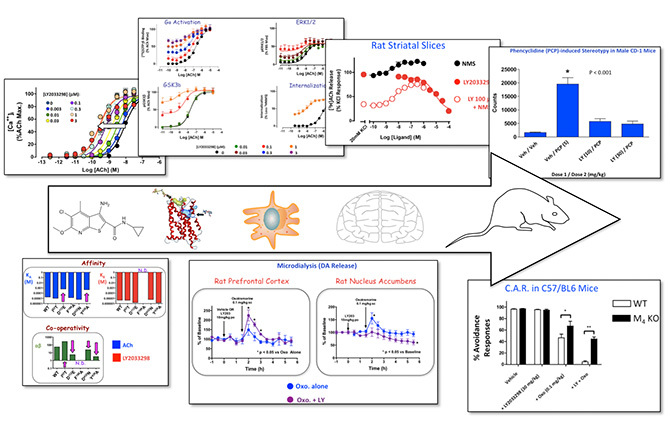 Preclinical workflow illustrating our studies of the M4 muscarinic receptor allosteric modulator, LY2033298, as assessed by cell-based signaling studies, receptor mutagenesis, native brain studies (neurotransmitter release in slices and microdialysis), and models of behavior in wild type and knockout mice. 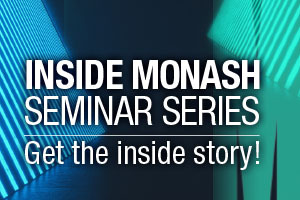 Liang, Y.L., Khoshouei, M., Radjainia, M., Zhang, Y., Glukhova, A., Tarrasch, J., Thal, D.M., Furness, S.G.B., Christopoulos, G., Coudrat, T., Danev, R., Baumeister, W., Miller, LJ., Christopoulos, A., Kobilka, B.K., Wootten, D., Skiniotis, G. and P.M. Sexton (2017) Phase-plate cryo-EM structure of a class B GPCR-G protein complex. Nature. In Press. Glukhova, A., Thal, D.T., Nguyen, A.T.N., Vecchio, E.A., Jörg, M.,Scammells, P.J., May, L.T., Sexton, P.M. and A. Christopoulos (2017) Structure of the adenosine A1 receptor reveals the basis for subtype selectivity. Cell 168: 867-877. Bradley, S.J., Bourgognon,J.-M.,Sanger, H.E., Verity, N.,Mogg, A., White, D.J., Butcher, A.J., Moreno,J.A.,Molloy,C.,Macedo-Hatch, T., Edwards, J.E., Wess, J., Pawlak, R., Read, D.J., Sexton, P.M., Broad, L.M., Steinert, J.R., Mallucci, G.R., Christopoulos, A., Felder, C.C. and A.B. Tobin (2017) M1-muscarinic allosteric modulators slow prion neurodegeneration and restore memory loss. J. Clin. Invest. 127: 487-499. Qin, R.C.X., May, L.T., Li, R., Cao, N., Rosli, S., Deo, M., Alexander, A.E., Horlock, D., Bourke, J.E., Yang, Y.H., Stewart, A.G., Kaye, D.M., Du, X.-J., Sexton, P.M., Christopoulos, A., Gao X.-M. and R. H. Ritchie (2017) Small-molecule biased formyl peptide receptor agonist Compound-17b protects against myocardial ischemia-reperfusion injury in mice. Nature Comm. 8: 14232. Furness, S.G.B., Liang, Y.-L., Nowell, C.J., Halls, M.L., Wookey, P.J., Dal Maso, E., Inoue, A., Christopoulos, A., Wootten, D. and P.M. Sexton (2016) Ligand-dependent modulation of G protein conformation alters drug efficacy. Cell. 167: 739-749. Miao, Y., Goldfeld, D., Moo, E.V., Sexton, P.M., Christopoulos, A., McCammon, A.J. and C. Valant (2016)Accelerated structure-based design of chemically diverse allosteric modulators of a muscarinic G protein-coupled receptor. Proc. Nat. Acad. Sci. (USA). 113: E5675-E5684. Wootten, D., Reynolds, C.A., Smith, K.J., Mobarec, J.C., Koole, C., Savage, E., Pabreja, K., Simms, J., Sridhar, R., Furness, S.G.B., Liu, M., Thompson, P.E., Miller, L.J., Christopoulos, A. and P.M. Sexton (2016) The GLP-1 receptor extracellular surface is a molecular trigger for biased agonism. Cell. 165: 1632-1643. Leach, K., Gregory, K.J., Kufareva, I., Khajehali, E., Cook, A.E., Abagyan, R., Conigrave, A.D., Sexton P.M. and A. Christopoulos (2016) Towards a structural understanding of allosteric drugs at the human calcium sensing receptor Cell Res. 26: 574-592. Klein Herenbrink, C., Sykes, D.A., Donthamsetti, P., Canals, M., Coudrat, T., Shonberg, J., Scammells, P.J., Capuano, B., Sexton, P.M., Charlton, S.J., Javitch, J.A., Christopoulos, A. * and J.R. Lane (2016) The role of kinetic context in apparent biased agonism at GPCRs. Nature Comm. 7: 10842 *Co-corresponding author. Thal, D.M., Sun, B., Feng, D., Nawaratne, V., Leach, K., Felder, C.C., Bures, M.G., Evans, D.A., Weis, W.I., Bachhawat, P., Kobilka, T.S., Sexton, P.M., Kobilka, B.M.and A. Christopoulos (2015) Crystal structures of the M1 and M4 muscarinic acetylcholine receptors and insights into their allosteric modulation. Nature. Nature. 531: 335–340. Cook, A.E., Mistry, S., Gregory, K.J., Furness, S.G.B., Sexton, P.M., Scammells, P.J., Conigrave, A.D., Christopoulos, A*. and K. Leach (2015) Biased allosteric modulation at the CaSR engendered by structurally diverse calcimimetics Br. J. Pharmacol. 172: 185-200. *Co-corresponding author. Lane,J.R.,Donthamsetti, P., Shonberg, J., Draper-Joyce, C.J., Dentry, S., Michino, M., Shi, L., López, L., Scammells, P.J., Capuano, B., Sexton, P.M., Javitch, J.A. and A. Christopoulos (2014) A new mechanism of allostery in a G protein-coupled receptor dimer. Nature Chem. Biol. 10: 745-752. Valant, C., May, L.T., Aurelio, L., Chuo, C.H., White, P.J., Baltos, J., Sexton, P.M., Scammells, P.J. and A. Christopoulos (2014) Separation of on-target efficacy from adverse effects through rational design of a bitopic adenosine receptor agonist. Proc. Nat. Acad. Sci. (USA)111: 4614-4619. Abdul-Ridha, A., Lopez, L., Keov, P., Thal. D.M., Mistry, S.N., Sexton, P.M., Lane, J.R., Canals, M. and A. Christopoulos(2014) Molecular determinants of allosteric modulation of the M1 muscarinic acetylcholine receptor. J. Biol. Chem. 289: 6067-6079. Dror, R.O., Green, H.F., Valant, C., Borhani, D.W., Valcourt, J.R., Pan, A.C., Arlow, D.H., Canals, M., Lane, J.R., Rahmani, R., Baell, J.B., Sexton, P.M., Christopoulos, A*. and D.E. Shaw (2013) Structural basis for modulation of a G-protein-coupled receptor by allosteric drugs. Nature. 503: 295-299. *Co-corresponding author. Kruse, A.C., Ring, A.M., Manglik, A., Hu, J., Hu, K., Eitel, K., Hübner, H., Pardon, E., Valant, C., Sexton, P.M., Christopoulos, A., Felder, C.C., Gmeiner, P., Steyert, J., Weiss, W.I., Garcia, K.C., Wess, J. and B.K. Kobilka (2013) Activation and allosteric modulation of a muscarinic acetylcholine receptor. Nature. 504: 101-106. Mistry, S., Valant, C., Sexton, P., Capuano, B., Christopoulos, A. * and P.J. Scammells (2013) Synthesis and pharmacological profiling of analogues of BQCA as allosteric modulators of the M1 muscarinic receptor. J. Med. Chem. 56: 5151-5172. *Co-corresponding author. Bono, F., De Smet, F., Herbert, C., De Bock, K., Georgiadou, M., Fons, P., Tjwa, M., Alcouffe, C., Ny, A., Bianciotto, M., Jonckx, B., Murakami, M., Lanahan, A., Michielsen, C., Sibrac, D., Dol-Gleizes, F., Mazzone, M., Zacchigna, S., Herault, J.-P., Fischer, C., Rigon, P., de Almodovar, C.R., Claes, F., Blanc, I., Poesen, K., Zhang, J., Segura, I., Gueguen, G., Bordes, M.-F., Lambrechts, D., Broussy, R., van de Wouwer, M., Michaux, C., , T., Jean, I., , S., Noel, A., Motte, P., Rom, E., Rakic, J.-M., Katsuma, S., Schaeffer, P., , A., Van Schepdael, A., Schwalbe, H., Gervasio, F., Carmeliet, G., Rozensky, J., Dewerchin, M., Simons, M., Christopoulos, A., Herbert, J.-M., and P. Carmeliet (2013) Inhibition of tumor angiogenesis and growth by a small-molecule multi-FGF receptor blocker with allosteric properties. Cancer Cell. 23: 477-488. Leach, K., Wen, A., Cook, A.E., Sexton, P.M., Conigrave, A.D, and A. Christopoulos (2013) Impact of clinically relevant mutations on the pharmacoregulation and signaling bias of the calcium sensing receptor by positive and negative allosteric modulators. Endocrinology154: 1105-1116. Gregory, K.J., Sexton, P.M., Tobin, A.B. and A. Christopoulos (2012) Stimulus bias provides evidence for conformational constraints in the structure of a G protein-coupled receptor. J. Biol. Chem. 287: 37066-37077. Kenakin, T., Watson, C., Muniz-Medina, V. and A. Christopoulos (with Appendix by S. Watson) (2012) A simple method to quantify functional selectivity and agonist bias. ACS Chem. Neurosci. 3: 193-203. 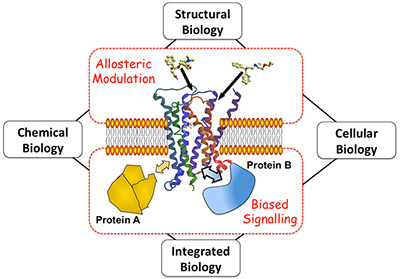 Valant, C., Felder, C.C., Sexton, P.M. and A. Christopoulos (2012) Probe-dependence in the allosteric modulation of a G protein-coupled receptor: Implications for detection and validation of allosteric ligand effects. Mol. Pharmacol. 81: 41-52. Canals, M., Lane, J.R., Wen, A., Scammells, P.J., Sexton, P.M. and A. Christopoulos (2012) A Monod-Wyman-Changeux mechanism can explain G protein-coupled receptor (GPCR) allosteric modulation. J. Biol. Chem. 287: 650-659. Valant, C., Gregory, K.J., Hall, N.E., Scammells, P.J., Lew, M.J., Sexton, P.M. and A. Christopoulos (2008) A novel mechanism of G protein-coupled receptor functional selectivity: muscarinic partial agonist McN-A-343 as a bitopic orthosteric/allosteric ligand, J. Biol. Chem, 283: 29312-29321. Wootten, D., Miller, L.J., Koole, C, Christopoulos, A. and P.M. Sexton (2017) Allostery and biased agonism at class B G protein-coupled receptors. Chem. Rev. 117: 111-138. Changeux, J.P. and A. Christopoulos (2016) Allosteric modulation as a unifying mechanism for receptor function and regulation. Cell. 166: 1084-1102. Laskaris, L.E., Di Biase, M.A., Everall, I., Ghana, G., Christopoulos, A., Skafidas, E., Cropley, V.L. and C. Pantelis (2016) Microglial activation and progressive brain changes in schizophrenia. Brit. J. Pharmacol., 173: 666-680. Gentry, P.R., Sexton, P.M. and A. Christopoulos (2015) Novel allosteric modulators of G protein-coupled receptors. J. Biol. Chem. 290: 19478-19488. Christopoulos, A. (2014) Advances in GPCR allostery: From function to structure. Mol. Pharmacol. 86: 463-478. Christopoulos, A., Changeux, J.P., Catterall, W.A., Fabbro, D., Burris, T.P., Cidlowski, J.A., Olsen, R.W., Peters, J.A., Neubig, R.R., Pin, J.P., Sexton, P.M., Kenakin, T.P., Ehlert, F.J., Spedding M. and C.J. 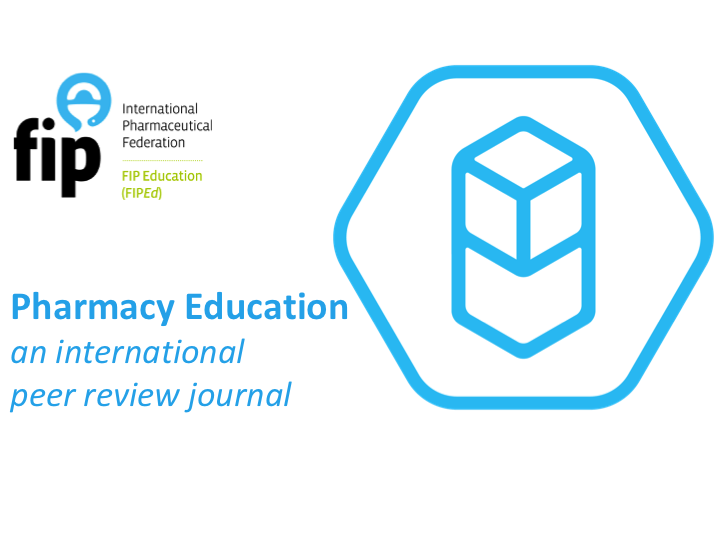 Langmead (2014) International Union of Basic and Clinical Pharmacology. XC. Multi-site Pharmacology: Recommendations for the nomenclature of receptor allosterism and allosteric ligands. Pharmacol. Rev. 66: 918-947. Kruse, A.C., Kobilka, B.K., Gautam,D.,Sexton, P.M., Christopoulos, A. and J., Wess (2014) Insights into muscarinic acetylcholine receptor biology, pharmacology, and structure. Nature Rev. Drug Discovery, 13: 549-560. Kenakin, T. and A. Christopoulos (2013) Signaling bias in new drug discovery: Detection, quantification and therapeutic impact. Nature Rev. Drug Discovery 12: 205–216. Valant, C., Lane, J.R., Sexton, P.M. and A. Christopoulos (2012) The best of both worlds? 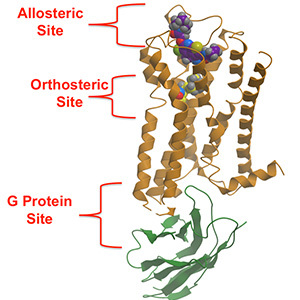 Bitopic orthosteric/allosteric ligands of G protein-coupled receptors. Ann. Rev. Pharmacol. Toxicol., 52: 153-178. Wootten, D., Christopoulos, A. and P.M. Sexton (2013) Emerging paradigms in GPCR allostery: Implications for drug discovery. Nature Rev. Drug Discovery 12: 630-644. Keov, P., Sexton, P.M. and A. Christopoulos (2011) Allosteric modulation of G protein-coupled receptors: A pharmacological perspective. Neuropharmacol. 60: 24-35. Kenakin, T. and A. Christopoulos (2011) Analytical pharmacology: The impact of numbers on pharmacology. Trends Pharmacol. Sci. 32: 189-196. Conn, P.J., Christopoulos, A. and C.W. Lindsley (2009) Allosteric modulators of GPCRs: A novel approach for the treatment of CNS disorders. Nature Rev. Drug Discovery 8: 41-54. Leach, K., Sexton, P.M. and A. Christopoulos (2007) Allosteric modulators of GPCRs: Taking advantage of permissive receptor pharmacology. Trends Pharmacol. Sci. 28: 382-389. May, L.T., Leach, K., Sexton, P.M. and A. Christopoulos (2007) Allosteric modulation of G protein-coupled receptors, Ann. Rev. Pharmacol. Toxicol., 47: 1-51. Christopoulos, A. and T. Kenakin (2002) G protein-coupled receptor allosterism and complexing, Pharmacol. Rev. 54: 323-374. Christopoulos, A. (2002) Allosteric binding sites on cell-surface receptors: Novel targets for drug discovery. Nature Rev. Drug Discovery 1: 198-210. Profrssor Marta Filizola, Icahn School of Medicine at Mount Sinai, USA. ARC Discovery Grant (2016 – 2018): Allosteric and bitopic ligands acting at G protein-coupled receptors. NHMRC Program Grant (2014 – 2018): The Janus Faces of G Protein-Coupled Receptors: Implications for Disease Mechanisms and Opportunities. Servier (2012-2016): GPCR drug discovery. Authorised by: Chief Marketing Officer, Strategic Marketing and Communications. Maintained by: Pharmacy Webmaster Team. Last updated: Apr 2019.